brings clean, simple order to any professional audio/video production. 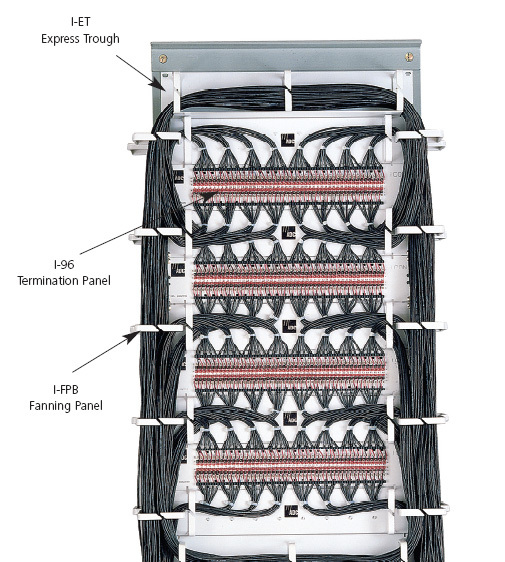 The ICON Main Distribution Frame system pulls all of your audio, video, and data cabling together into a neatly organized central termination and distribution point where interconnections are easily managed. and provides critical system redundancy. to interconnect them punch down on the back. Other connector types are also available. ADC has ICON systems to suit any application. For small jobs, we make compact rack- and wall-mount units. For facility-wide management, we offer large rack- and wall-mount systems that can grow as your facility grows. 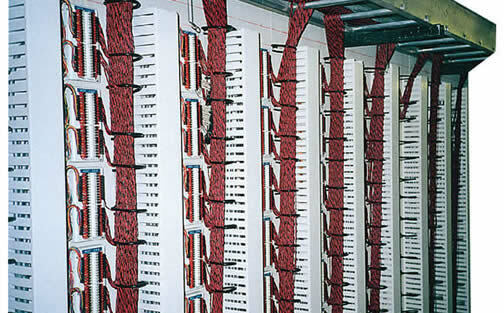 Fanning Panels and Express Troughs. Handles 768 balanced audio pairs.